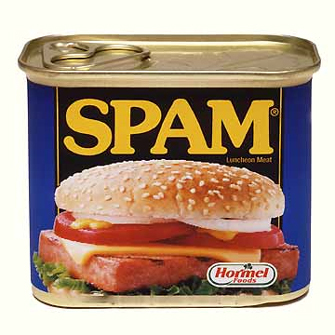 Spam is a canned processed pork meat product also called luncheon meat. It was introduced to Okinawa by the U.S. military after the war. It turned out to suit very well to the tastes of Okinawan people, and it was also easy to cook by simply frying. Eventually it became an indispensable ingredient in everyday Okinawan diet. 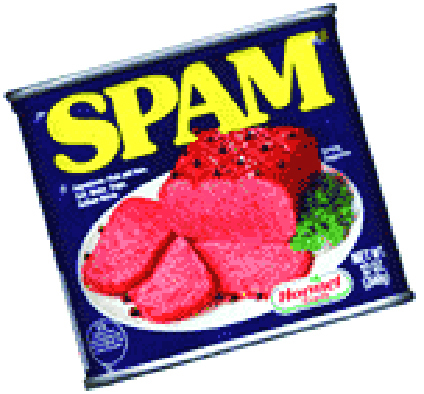 Most canned pork imported to Japan are sold in Okinawa.